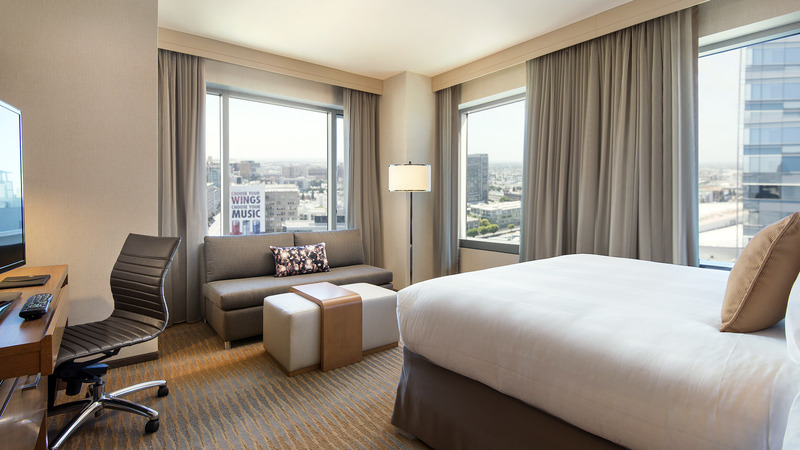 In the heart of downtown LA near the 110, 10 and 101 FWYs and across from the L.A. LIVE sports & entertainment district steps from the Staples Center, Microsoft Theater, Los Angeles Convention Center and over a dozen restaurants. Modern design, urban hotel. 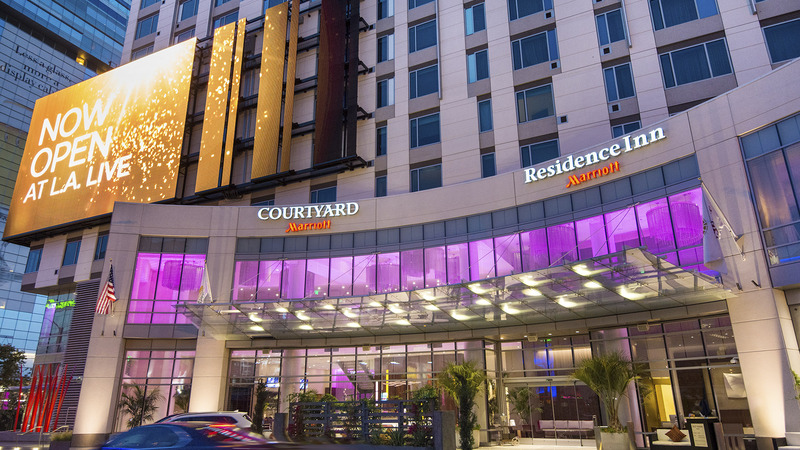 Not your typical Courtyard in Downtown Los Angeles located in walking distance to the Los Angeles Convention Center, the downtown LA Financial District and Bunker Hill. Two brands. One Roof. Connected by Marriott.tm: Co-located under one roof with the Residence Inn Los Angeles L.A. LIVE, the fusion of these two unique and powerful Marriott brands allows you to take advantage of amenities and services that otherwise might not be available, like additional food and beverage options, a larger fitness center and more meeting spaces. Meetings imagined/creative approach with dedicated event planners on property– we think outside the box and deliver 4 star quality culinary and event experience. Flexible indoor and outdoor meeting space featuring venues overlooking L.A. LIVE perfect for business meetings and social events alike. 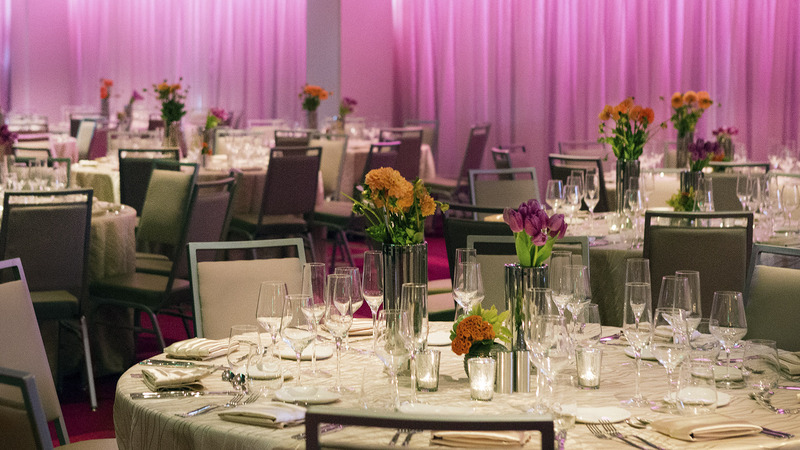 LA Ball Room can accommodate up to 250 guests for conferences or board meetings. Outdoor event deck ideal for social receptions for up to 210 people. RI Lounge = Breakfast area on the second floor that is often utilized as flexible meeting space for private events. Green hotel = Leed Silver certified with Universal and Tesla Vehicle Charger (included with valet parking). Café Table 901 = By day, serving healthy breakfast options accompanied by your favorite Starbucks drinks. By night, an array of beers, wines and custom cocktails complement a variety of creative bites.